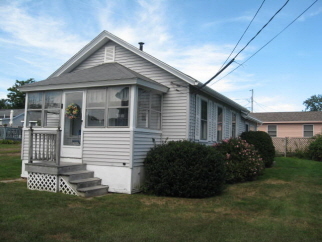 Excellent location for this 3 bedroom, 3/4 bath cottage 2 minute walk to Long Sands. Ocean view, great quiet neighborhood, large yard and grill patio with furniture, enclosed porch, sleeps 6-8 with 1 double bed, 4 twins and a pull-out double couch, cable tv and WIFI, parking for 3 cars and $1500 a week. Popular and convenient location year after year at an excellent price.